It’s fair to say that we love UI kits here at ThemeFurnace, they are something we have covered before and they prove to be ever popular. As a designer, any time saver or tool you can add to your arsenal is worth it, especially if it’s free – In this collection we have put together over 30 Free Mobile UI Kits for designing iOS or Android apps. Some of the items on this list are for Photoshop in PSD format and some are for Sketch which is proving more popular for designing interfaces in. In this collection there are a wide range of UI kits which should cover most types of mobile applications that you can think of, from music apps to shopping, photography, weather and so on. You should be able to pick out some elements from your chosen kit and use them directly in your designs, or even just use them for inspiration for small parts of your design – button styles, menu styles etc. 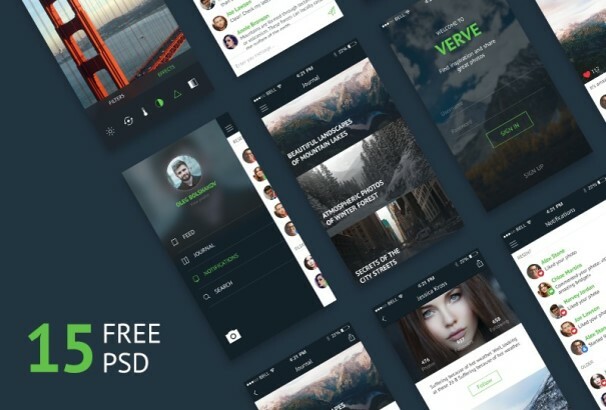 Take a look below at some amazing quality UI kits which we can’t believe are free! 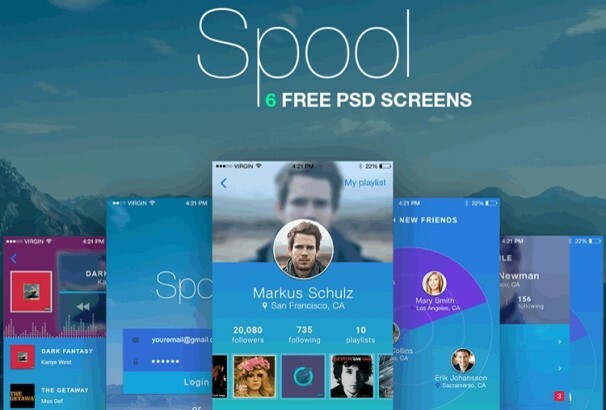 Spool is one of the best free mobile UI PSD kit. A great choice for your next UI related projects. This UI kit has 6 screens including login screen, profile screen, music playlist screen, search screen, dialogues screen and the menu screen. This mobile UI kit was designed by Sergey Melnik. This UI kit is designed by Epic Pxls. 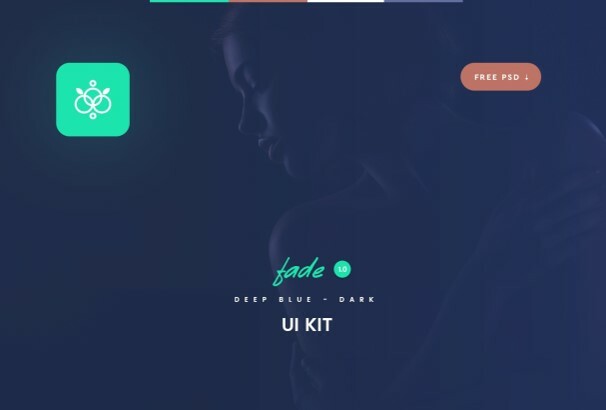 This UI kit has 5 different screens and the package contains full PSD files. So you can customize the UI design as needed. Check out the beautifully designed UI kit. This is another great UI Kit designed by Ghevond Matevosyan. 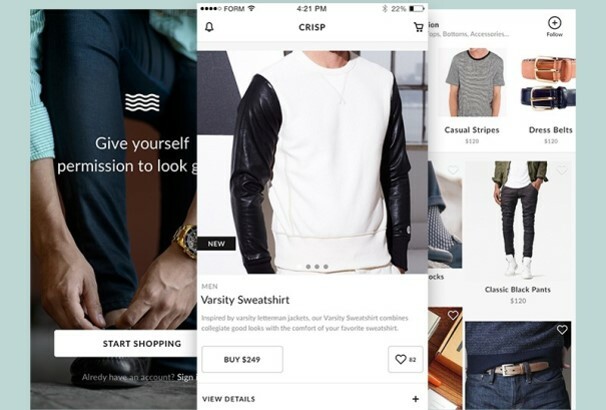 This Anri app UI is perfect for your eCommerce based projects. This freebie also included all UI elements and wireframing, Sketch file. 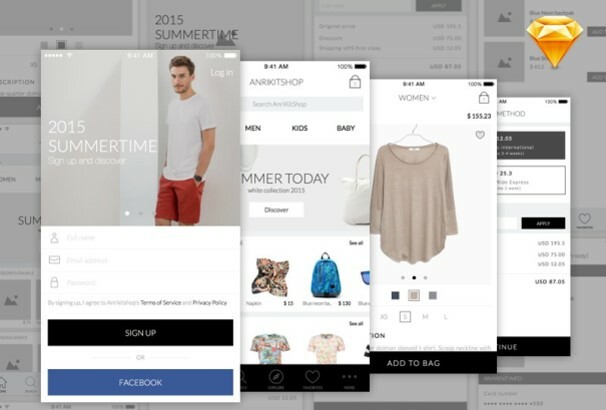 Present your eCommerce app in a stunning way by using this exclusive eCommerce app UI kit. Elegance is modern and stylish UI theme which is perfectly fit for your shopping app. You’re getting 12 fully layered and well-organized PSD and Sketch files, fully customizable color structure, and icons with perfect sharpness. Try out the awesome iOS UI kit for development. The UI kit is developed by Fatih Sinan. 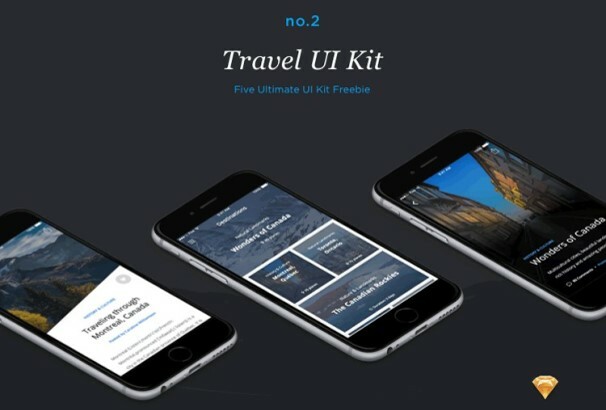 This iOS UI Kit is suitable for any kinds of travel app development. It has 50 screens and fully customizable PSD files. Make your dream app theme by using this travel app kit. It will help you to develop any app within very short time with a professional and pixel-perfect look. Reader UI Kit is designed by Andrey Novozhilov. You’re getting 8 fully layered screen and well-organized PSD and Sketch files. This UI kit suitable for creating applications to read news and blogs. This is a clean and modern iOS UI kit. It has inbuild 10 screen and package contains full PSD files. This template can be customized as needed. The awesome UI kit was designed by Sandeep Kasundra. 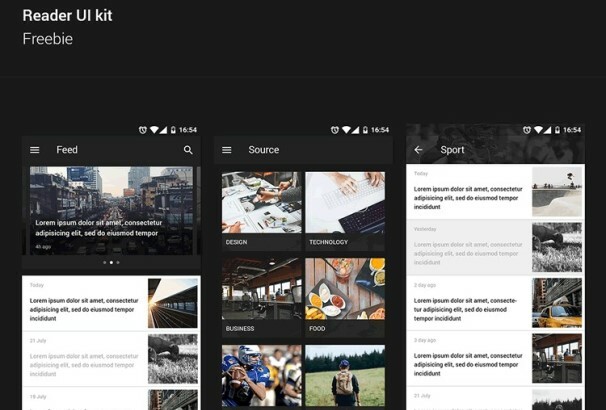 Anri Kit is specially made for photo editing apps. 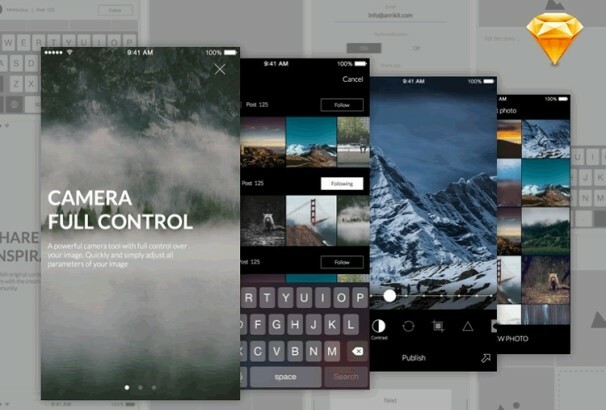 You can use it to make your own photo editing app and wireframing. It has 5 awesome screens. The Anri kit was designed by Ghevond Matevosyan. This is another clean and modern UI kit was designed by Lorenzo Perniciaro. The freebie version has 3 screens and sketches Formatted files. The clean and modern design will help you to draw user attention. Nerdial App UI has so many per build features such as thin lines, large photos, flat colors, transparent shapes, outlined icons. This UI comes with 8 screens and you can easily use them for your next UI project. The package contains PSD and Sketch files. 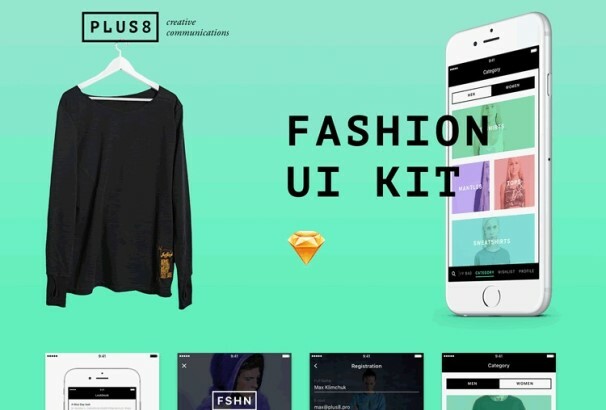 Fashion UI kit specially designed for fashion and eCommerce based development. 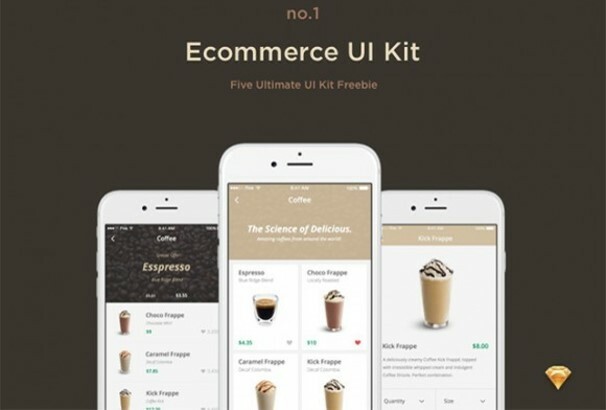 The UI design kit focuses solely on eCommerce design aspects. And it provides a fully functional design for building any types of eCommerce store app development. You’re getting 20 Screens and customizable PSD files in the freebie. 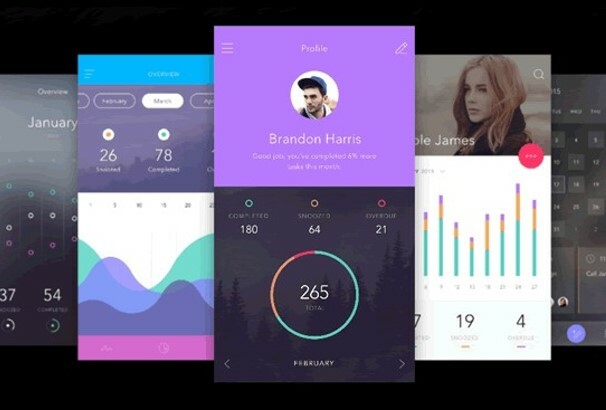 The UI kit is developed by Max Klimchuk. 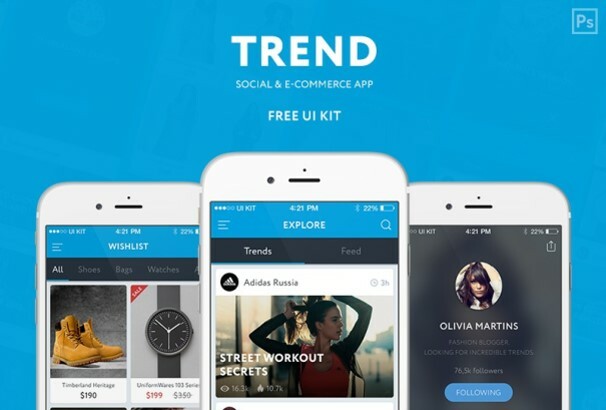 This awesome designed UI kit specially made for any kinds of eCommerce based app design. This free UI kit was created at Five agency. It has inbuild 50 screens which can help you to reuse the app design as your requirements. 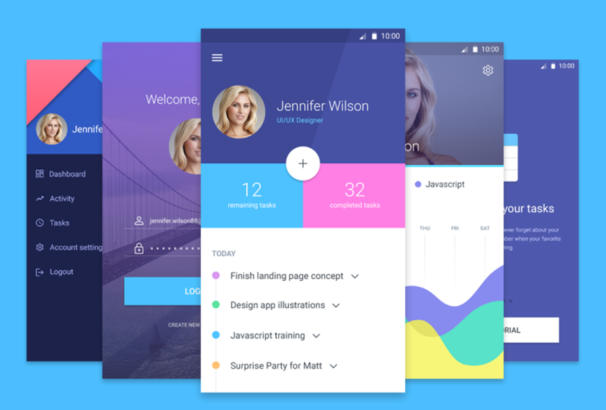 Android lollipop UI design kit was developed by UXpin. 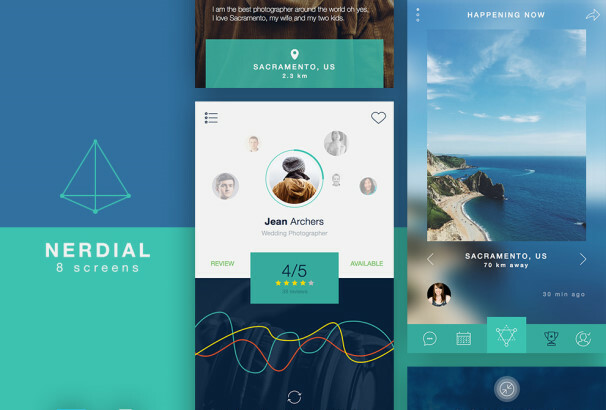 This designed UI kit has 45 layered screens and available in Photoshop and Sketch formats. The PSD template is fully customizable and can help you to develop any kinds of app design within a very short time. 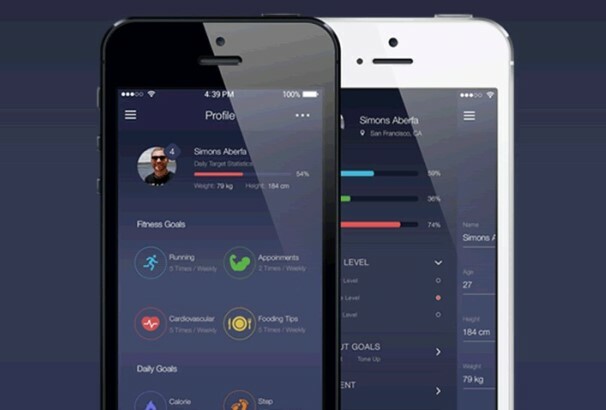 This high-quality mobile fitness app interface kit is ready to use for any kinds of fitness app design. You’re getting 13 PSD files in this package. This unique and modern style template can be customized easily as your demands. Designed by Buğra Dere. The UI kit is focused solely on iOS Photo & Social app design aspects and provides a fully functional design for building any kinds of iOS and social app design. You are getting 15 layered screens and fully editable PSD files in the package. The freebie is designed by Oleg Bolshakov. 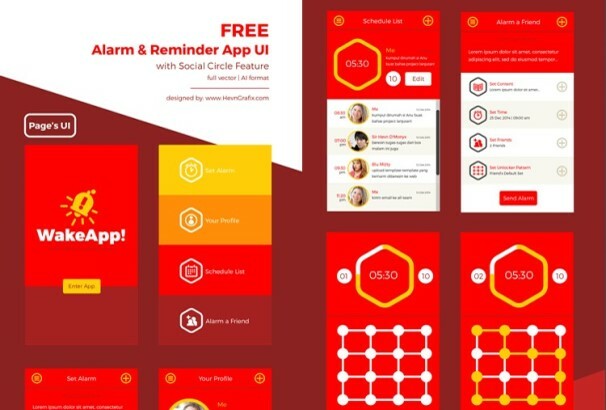 This colorful mobile app UI kit is perfect for any types of mobile alarm app design. You are getting 8 per-build screens and you are getting all AI & EPS formats in the package. 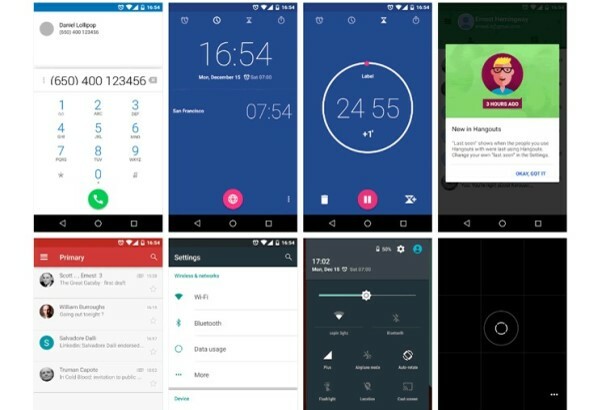 Use this concept UI kit to create your own alarm-reminder apps. 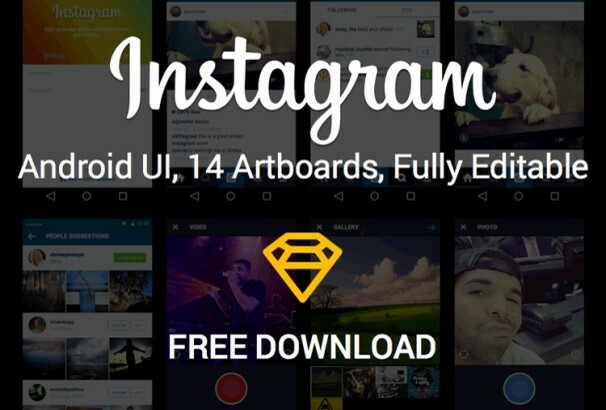 This Instagram android UI kit is designed based on Instagram. The android UI kit designed by Mohamed Kerroudj in Sketch format and the user can edit the sketch format by mixing your own ideas. This fully customizable mobile app UI kit has 130 stunning screens, 10 complete themes, and 250+ components. This is the most versatile To-Do app UI kit you have ever seen! Easily customizable so there’s no need to worry about optimizing your assets. This mobile UI kit was designed by Oleg Bolshakov. 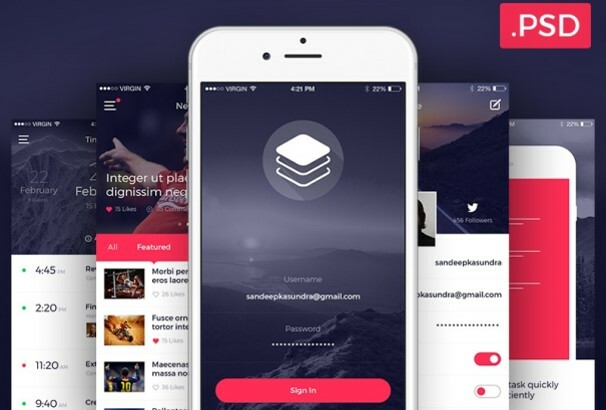 This UI KIT is perfect for any kinds of social and eCommerce based app designs. The freebie contains PSD files so you can mix up your own designing ideas. Check out the freebie. 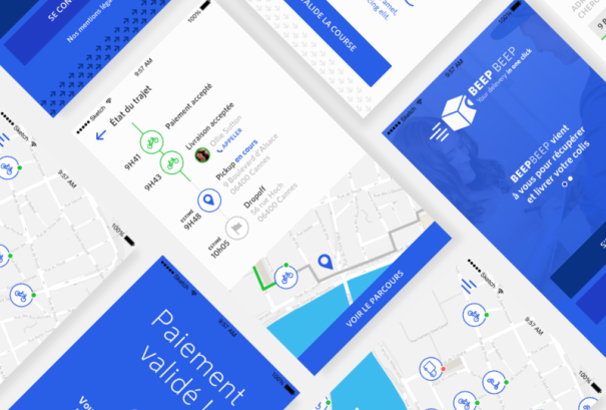 This is another beautiful iOS app UI kit comes with sketch format and designed by Maxence Henric. 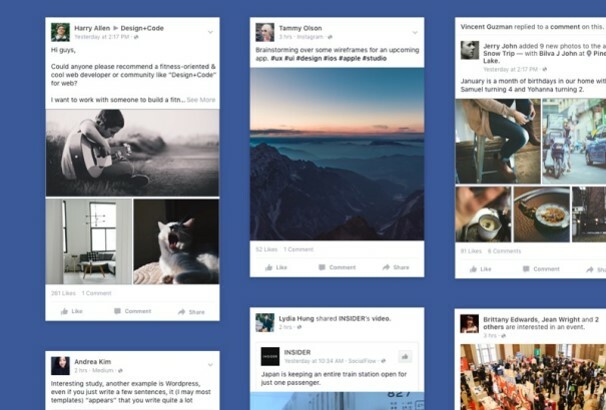 The UI kit is perfect for displaying facebook feeds in an app. 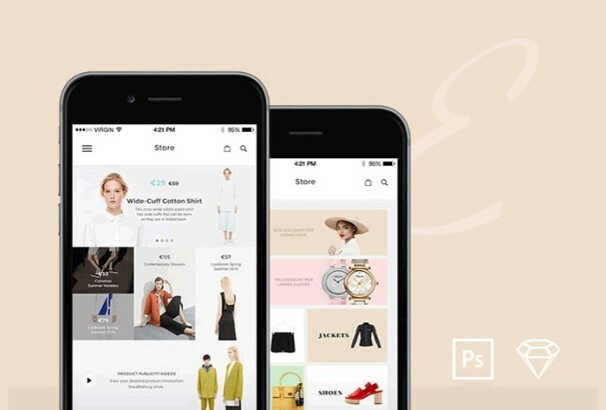 The Sketch file includes – Sharing a web link, Syncing an Instagram photo, Event Group Discussion, Adding photos to an album, Sponsored ad – shopping clothes, Sharing a video and other formats. This UI kit was designed by Kejia Shao in Sketch format. This eCommerce based UI kit is specially designed to focus products of an eCommerce based app. 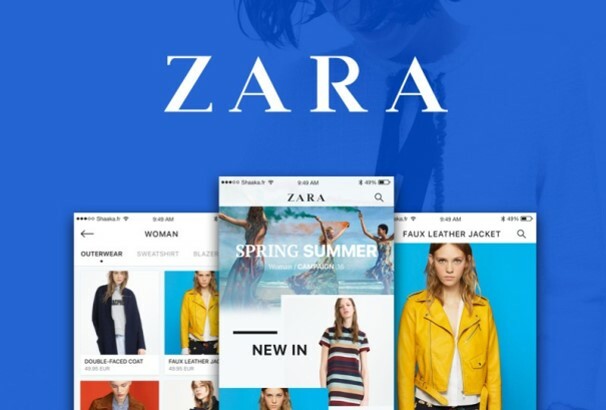 Make your dream shop app without any app designing knowledge. You’re getting well-organized PSD and Sketch files in the package. 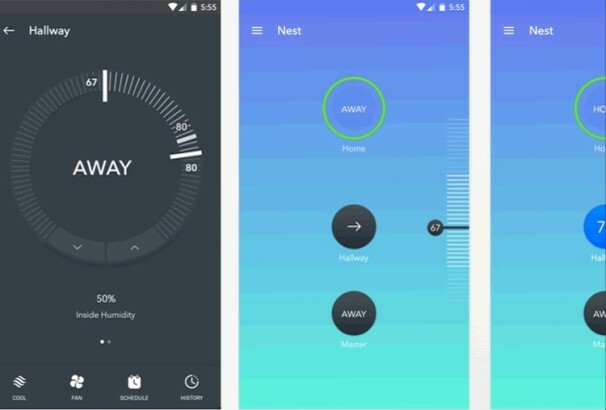 This UI kit was designed by ThinkMobiles. 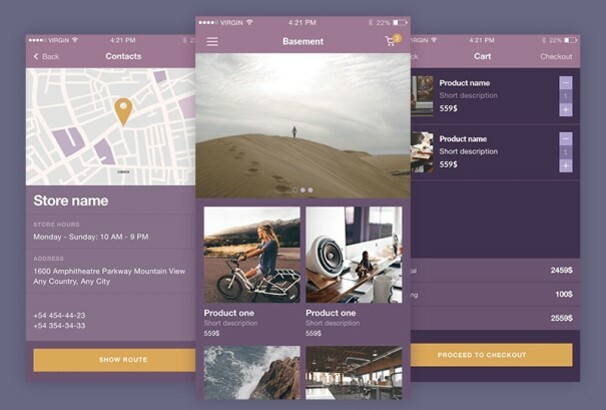 Crisp is an incredibly polished and fully customizable eCommerce UI Kit for Sketch. Just add you contents and customized it as needed. There is nothing hard to do with the UI kit. The UI kit was designed by Guillemette. 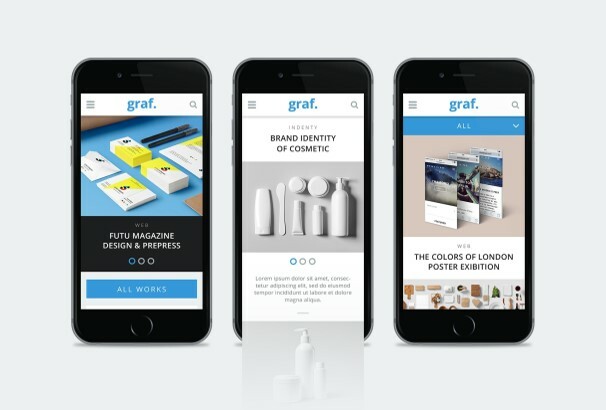 Graf is perfectly designed for mobile portfolio app. 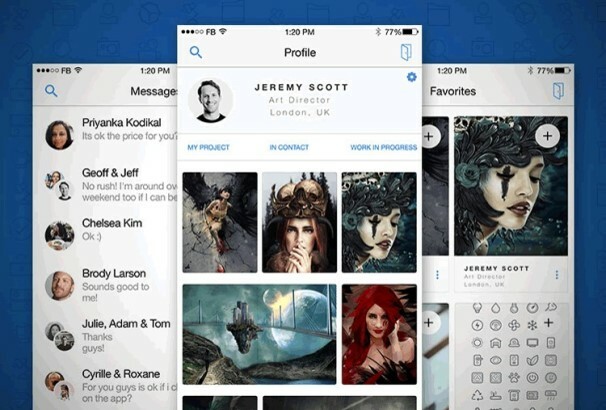 It has some useful elements to help you in designing mobile portfolio app very easily. The freebie contains fully customizable PSD files. Available layouts are – homepage, showreel, portfolio, blog, work preview. 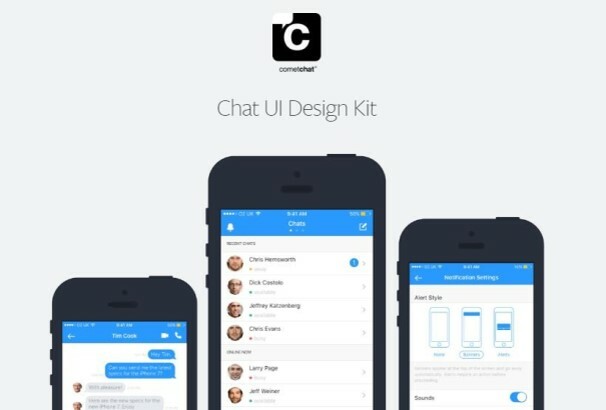 Download Chat UI Design Kit. Create your own design by changing the colors or other elements as needed. 36+ layouts help speed up your UI/UX workflow. You’re getting the layouts in PDF, EPS and PNG file formats. Flat UI delivery app UI kit specially made for designing any types of delivery app. This is a clean Material Design UI kit with some beautiful screens ready to be used for Android delivery related applications. This freebie was designed by Degrange Quentin. Download Fade, a free mobile UI Kit including useful elements to help you in designing any types of mobile app. By using the PSD you will be able to develop any kinds of design as you want. This deep blue dark flat style UI kit is perfect for any types of mobile app design. The free resources were designed by David Perger. 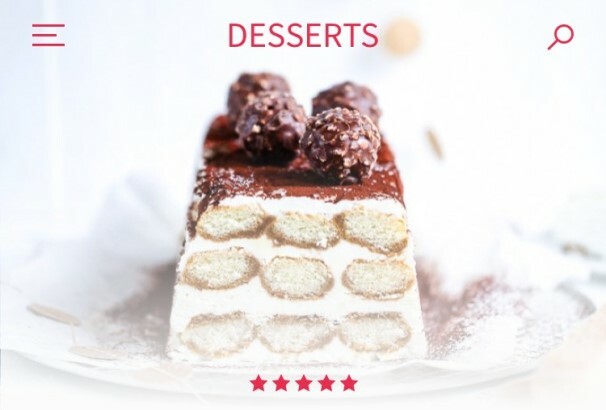 Recipes app UI kit is perfect for any kinds of recipes app. The UI elements are pixel perfect and the well-organized so you can easily edit the layout as needed. You can download the UI-Kit for sketch and feel free to use it for personal or commercial projects. 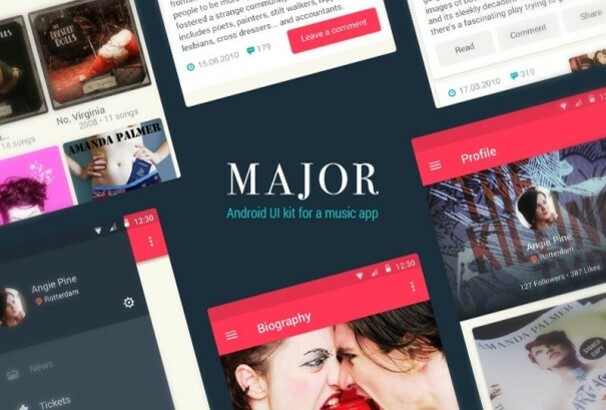 A beautiful music UI kit for Android applications. This awesome UI kit that contains various elements for a music application. The freebie was designed by Andrey Novozhilov.